I am so very honored to introduce Shannon MacFarlane of Tacoma, Washington. She specializes in compassion photography. Her photography is unique, inspiring and of enormous service to so many people. She documents, honors and celebrates, what can be the most painful moments in human experience. Read Shannon’s story and know, you can change lives with your photography. Photo credits: Shannon MacFarlane of Shannon MacFarlane Photography. All images supplied by Shannon MacFarlane. If this has to boil down to one thing, I want to be known for caring. I care deeply for each family I witness. I care about their emotional, cognitive, and physical health. I care about the quality and integrity of the images I create. I care about life and advocate for those nearing the end - they are living just as we are all dying. I care about caregivers and the support they receive. I care about preserving history through storytelling and marking even the uncomfortable, painful milestones that people don't want to discuss. I care about celebrating the amazing milestones, too, like remission, anniversaries of coming home from the hospital, birthdays, graduating from therapy or treatment, or being well enough to go to school. I care about finding beauty, dignity, and grace in places people do not expect to see them. I care about sincerely and empathetically connecting with people. I care about difficult conversations and circumstances and I believe we need to find ways to approach them with courage, curiosity, and love. Darn it, I care! I care because I've lived this life. I've slept holding hands with my son in the hospital for days on end. I've lived with my own chronic illness. Becoming a close friend of death has inspired me to live my life according to my own rules. When the end looms it brings clarity and purpose; I have seen that and I don't want to lose it. How did you develop as a photographer? My early years working with a SLR focused on my very handsome, very Daneish canine subjects. Two great Danes in particular, Angus and Conan, kindly endured being followed and spied upon by the giant glass eye fixed to my face for years. With them I learned the importance of timing, controlling what I can control to accommodate what I cannot control, understanding the environment, and connecting with the subject. I've spent many frames with dogs, cats, horses, and even chickens, every one of which has been an exceptional partner in making art after we established a connection and trust. When my son was born my camera was an essential part of our neonatal intensive care (NICU) experience. The pictures offered a history of progress and setbacks and witnessed the little things that are so easily lost during the stress of the situation and the cloudy memories thereafter. Photography also became a meditative practice for me - it was a place where I could intently focus, observe, and flex both my logical and creative muscles. I needed that break from the otherwise anxious environment of the NICU. While I was there I also photographed other children and offered those images as gifts to the families I had come to know. We were all family there. It's a club that requires personal experience for membership and I wouldn't wish that on anyone, yet it's one of the best clubs in the world. We understand each other. Since my son graduated from the NICU we've spent lots of time in hospitals and clinics. My camera comes everywhere I can bring it. It's an important part of preserving our family's history, and I know my son's grandchildren will be grateful that their great grandmother was an awesome photographer who wasn't afraid to take bold, emotive pictures. My muses (i.e., my animal family and son) have provided opportunities to master crummy lighting conditions, ugly or shocking backgrounds, compassionately representing a huge spectrum of emotion, tight spaces, and fast action. All of those things allow me to be an awesome documentary and reportage photographer. I commit to daily practice and taking two classes as a student each year. What led you to the styles/topics of photography you now use? This story begins in the second question (above). I am drawn to the work I do with Shannon MacFarlane Photography for several reasons. First, I believe we need to acknowledge and feel our feelings in order to benefit from them. Brene Brown is hugely inspiring to me in this way. Difficult things like death, disability, and illness are things we don't talk about. When we don't talk about them we lose our ability to connect with them and emotionally we set ourselves up to become stuck. We repress and displace. It's not healthy. When people see my pictures, they talk about their feelings. They connect with those moments and have something they can share with someone else to start a conversation. This photography honors those difficult feelings and provides a door to the conversation. Second, the art of storytelling in families is declining and I want to hang on to that. Memories become fuzzy over time and the right picture of the right moment triggers clarity. Storytelling is the most important part of preserving history. Third, in line with the first two points, I want to show families they are incredibly beautiful in the celebratory moments as well as the really, truly hard ones. These pictures give them evidence of where they have been so they can celebrate their progress, however small. Fourth, I am deeply and personally connected to this work. I know how much pictures have meant to me and my family. I want to make sure others have them, too. The woman smiling is one of the daughters of the decedent. 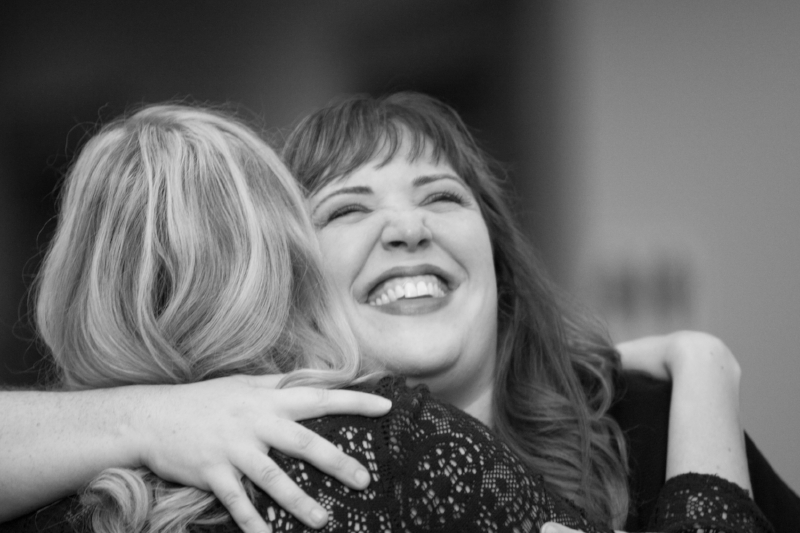 This is the kind of stuff I love about compassion photography. Yes, there are loads of tough emotions. There are also moments like this that are so full of love they nearly burst. Because most of the work I do with Shannon MacFarlane Photography does not cover my expenses (I offer my services regardless of a family's ability to pay), I am expanding into two other types of photography to continue to support this work. Slobbered Lens and Exposing Wonder are two new divisions of Shannon MacFarlane Photography that serve other families close to my heart. 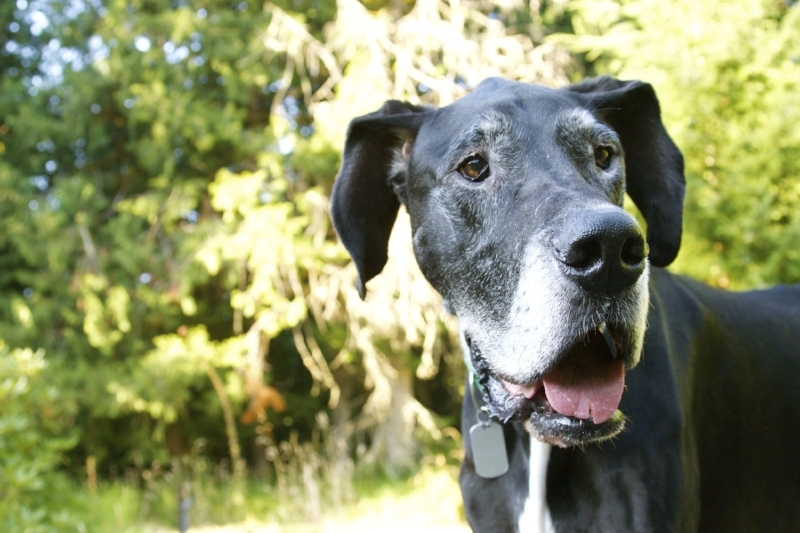 Slobbered Lens creates dignified portraits of giant dogs, who are completely lovable, goofy, and full of grace. I also photograph service animals and their human partners, regardless of size (a cause close to my heart as we're searching for a service dog for my son). The best part of Slobbered Lens, however, is something called Friends of Conan. Friends of Conan offers photography for companion animals (and their people) in their final days. Conan, one of my inspirations, during his last vacation. He was eight years old at the time with congenital heart failure, nerve damage in his neck, and arthritis in his hips, spine, and knees. We knew it was his last vacation and rented a cabin on 200 acres of forest, riverfront, and meadows. He had a wonderful time. Conan was the third Daneish member of our family and the inspiration for celebrating the love, tears, and adventures that animals share with their people. Exposing Wonder creates honest portraits of kids (ages one to nine) being kids. Both divisions are for documentary photography with no props, poses, or extensive directions - everything is play-based or other everyday activities. The results are portraits that are authentic, natural, and beautiful, including things like long strands of sticky slobber, runny noses, and lots and lots of dirt. I live in both of these worlds, too. What change/transformation do you want your photography to stimulate? I want people to celebrate beauty. I want them to realize the elements of their lives, this very moment, that are full of love, joy, promise, and oodles of other good things, even when the challenges feel overwhelming. I want people to talk to each other about how they feel. I want them to appreciate each other today, recognizing that tomorrow (or even later today) so many things could change. I want them to really feel life and soak it up. Part of this is also talking about and preparing for how to die and how to be sick. As Steven Covey said, when we begin with the end in mind we find it easier to identify what is important to us and when to do it. This perfectly healthy, wonderful little girl is the youngest of four children. She has two older brothers who are living. Mom lost her third pregnancy unexpectedly and this young lady is her rainbow. What type of life adventures has photography led you towards? Wow. Lots of vomit, poop, gastric sump leaks, and other biohazards. I see a lot of unsavory stuff that is part of the human experience. That's it, really. My adventure is in the human experience. It's life. It's not about travel to awesome places, although I will add that when it makes sense. It's about seeing each day as an adventure, even if that adventure is limited to a hospital bed. What will I learn today? What will I feel? How will my body respond? How will I love? How will I show up today and change the world, even just a little itty bit? This family has experienced significant medical adversity. Their first daughter was born with an omphalocele (the same condition my son had). 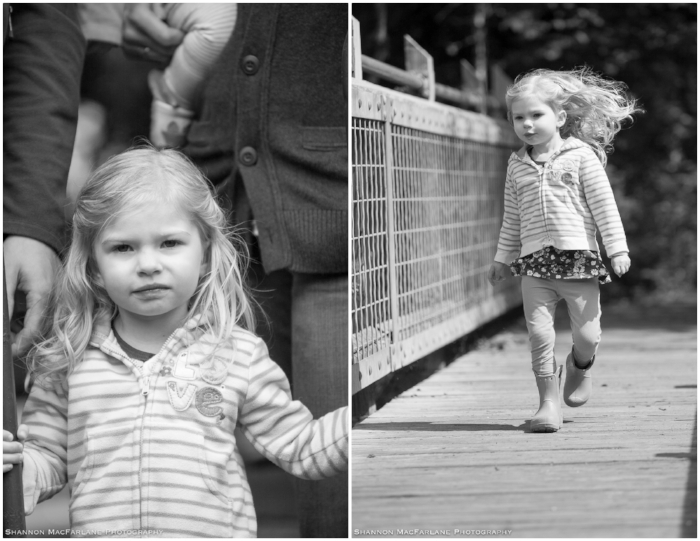 She was in the NICU for months and graduated smart, curious, and full of joy. Her little sister gifted her family with an easy, healthy pregnancy and infancy and they are tremendously grateful for every day they have. This is definitely a family in which I can say adversity has changed the way they love each other for the better. What has photography taught you about yourself? About the world around you? I am learning so many things. I daily learn to put my health and welfare above everything else, and sometimes that's really difficult. I live with a chronic Epstein Barr viral infection and an autoimmune disease; I have great days, challenging days, and all kinds of days between. On a great day it's hard to recognize and respect my limitations, especially if I want to push a little more to help one more family. I am learning about how much difference an earnest laugh or a smile makes. I am learning how people polish themselves into unconventionally beautiful souls through adversity, much like rocks are smoothed by moving water. I am learning that I live the life I chose to live and I am not one to pass up on an intriguing opportunity, however ridiculous it may sound. I am learning that fear can kill people long before death, and grace can keep them alive long after they die. I am learning that every being on this earth is a teacher and I am a student of the world. I am learning that I have a lot to learn. Do you have any special projects you are working on (or have worked on)? In April I presented my first art show, TOO SOON, which was a collection of symbols of love at children's graves. It was a powerful show with tears and personal stories that also raised a bit of money for The TEARS Foundation (www.thetearsfoundation.org). In 2017 I plan to compile a larger collection of headstones, grave markers, and the tokens that adorn them into a coffee table book. This fall I'll begin offering workshops in using photography as a means of coping with and expressing grief. This is at the heart of the research I plan to conduct as PhD student in psychology, starting September 2016. Jordyn's guardians, an angel and teddy bear. Jordyn's life was so short it is measured in days rather than months or years. Her family mourns each anniversary, birthday, and milestone they are not able to share with her. The angel they placed to care for her is nearly four feet tall and brings me to tears every time I see it. The teddy bear has been sitting watch for most of this year and has clearly seen a lot of weather. He'll see a lot more. Do you enjoy the Inspiring Photographer Series? Do you find them useful? Drop me a note in the comments section or over on the Facebook page and tell me. And, please share on your social media.